Where does an artist find inspiration? How is the spark of creativity ignited? Across the ages and professions, we have strived to tap the recondite fountain of genius hoping to quench our thirst for creativity. Some believe inspiration comes from accumulated knowledge, or that ancient wisdom resides deep in our being, waiting to be unlocked. Perhaps we need to look elsewhere in search of a purer and more splendid source. THROUGHOUT HISTORY almost every culture looked toward the divine for inspiration. Art was meant to uplift, bringing joy to both the people who created and experienced it. 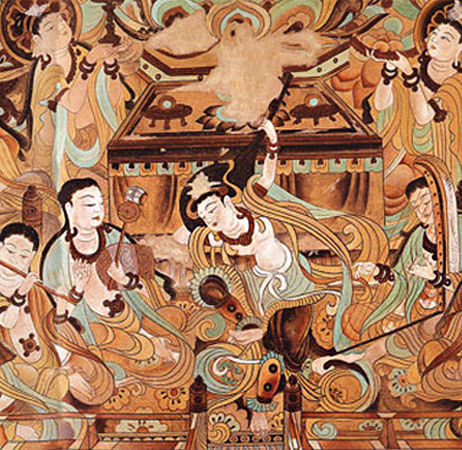 It is this principle that drives Shen Yun performers and their art. 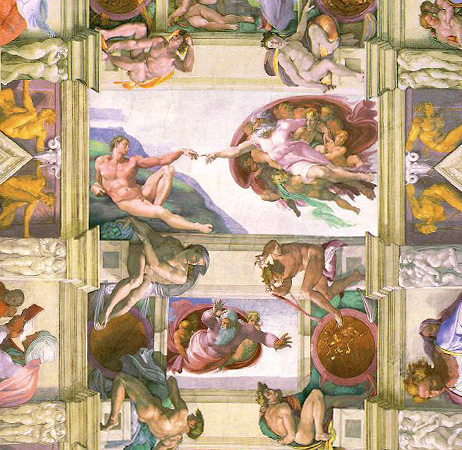 When you stop and look up at Michelangelo’s Sistine Chapel, you can feel this connection between art and spirituality beaming down from the high ceiling’s apex where God reaches out to touch Adam’s hand. Chinese culture, is the spiritual discipline known as Falun Dafa.